Microsoft SharePoint lets you share information across platforms and users and it helps to know what all the pieces of Sharepoint can do. You may want to look at SharePoint’s administration model or its site hierarchy, as well. 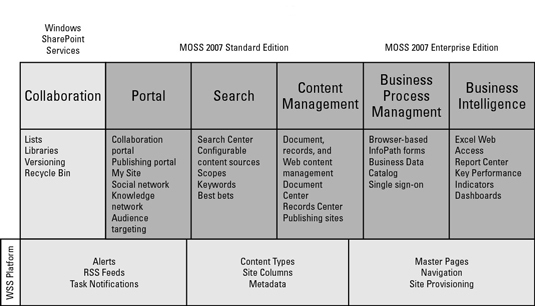 Microsoft Office SharePoint Server (MOSS) 2007 is officially part of the Microsoft Office suite of products, which gives you access to Windows SharePoint Services (WSS). The first table lays out the WSS and MOSS templates. 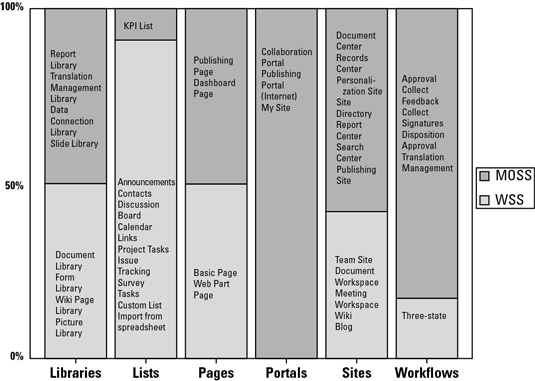 The table here shows SharePoint’s major features. 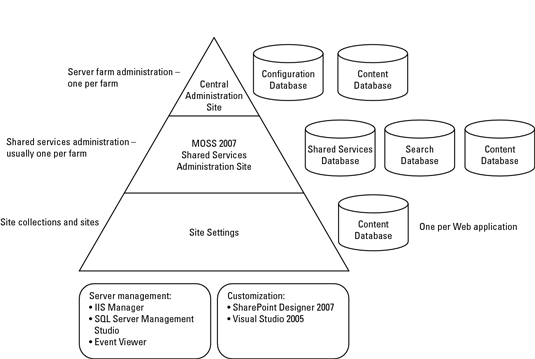 All of Microsoft SharePoint’s features are delivered via a hierarchy of Web sites. 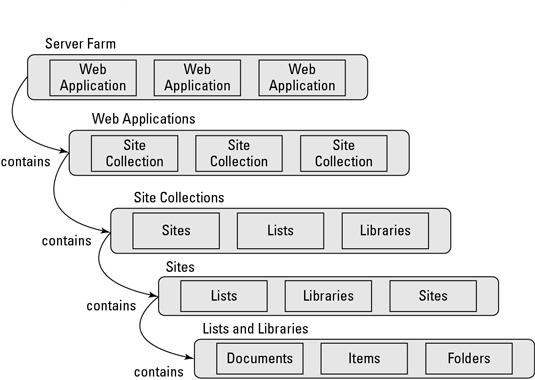 This sample SharePoint hierarchy begins at folders and moves up the chain to the server farm.